I just received this photo of a COLLINS 212G, like the one I am sitting at in the picture below. Bruce Berman did an excellent job of bringing this one back. It looks like day 1. 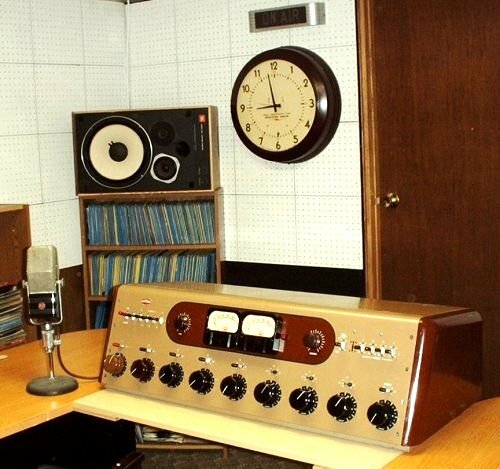 Hall of Famer Charlie "B" Boman was the boss, Calvin was the chief engineer, Skip Reynolds (now chief engineer at WMC in Memphis) Sammy Watson (a legend in Tuscaloosa and almost the mayor) and Hank Smith a radio legend in our town, were on the staff. I was the hot rockin', flame throwing, Program Director of 'JBY. It was then we kinda invented the Gold Based A C format, but I didn't know it! Ya see, we played an "easy" current, a 65 to 70 oldie, then a 55 to 65 oldie. When Camden replaced the 76 console series, they sold a pile of these. 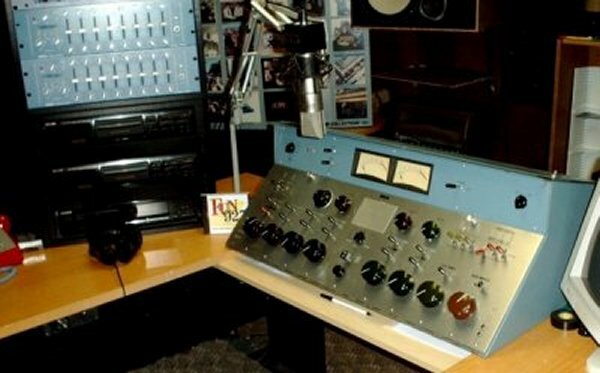 Almost every picture of a new control room from the late 40's or early 50's would show this board, a Collins, or an SA-40 GATES. Skip Reynolds, who I worked with at 'JBY is now the Chief Engineer at WMC in Memphis. He found for me this pristine BC-8. 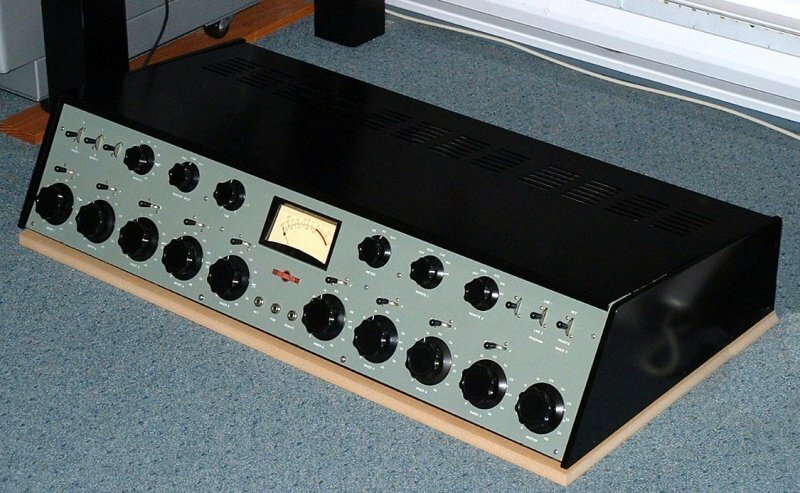 I converted it to stereo with the original germanium amps, and used it for a while in the "basement" This one had hardly any use, it was spotless! This one came from Ivan Davis at WEEN in Lafayette, TN. 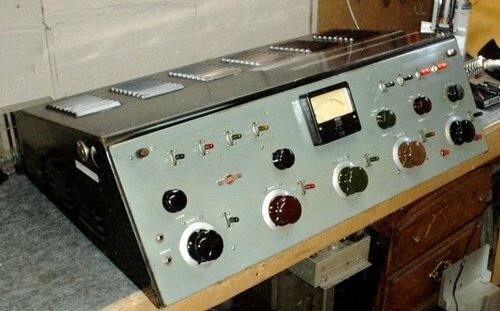 Here it is on the bench ungoing another of my less than famous restorations. It was in perfect shape, seeing daily service until 1998! 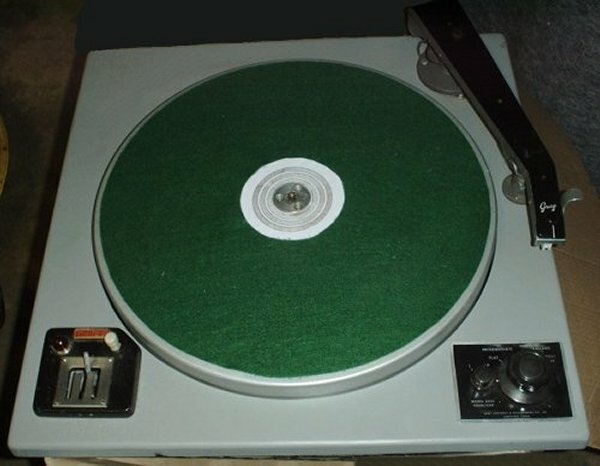 Today these can double as a pottery wheel, but in the day, these baby's played the hits, the easy stuff, the transcriptions, and sometimes commericals. Three speed on the floor, kinda. 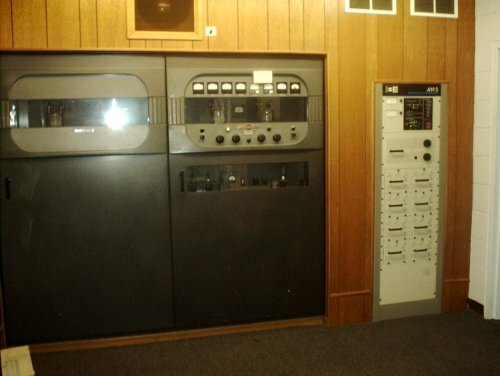 This is the transmitter area of John Heidelberg's WVOL in Nashville, TN. The beautiful old COLLINS still goes, replaced in daily service by the BE 5 KW solid state job on the right, a few years ago. 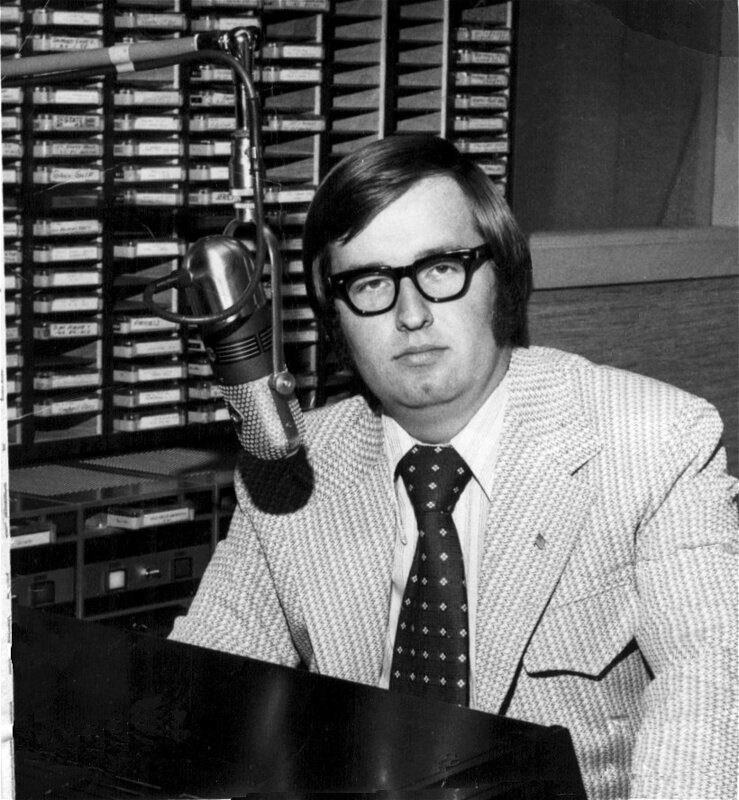 If you listened to radio in Alabama in the 60's & 70's, you no doubt heard this guy. 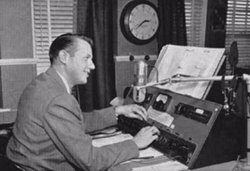 A legend in Birmingham and North & Central Alabama, Joe was on the air from his basement home studio every morning and afternoon on WVOK, "the mighty 690" (50,000w). As I understand it, Joe bought three hour blocks of time from VOK, then re-sold it, traded it, or whatever. 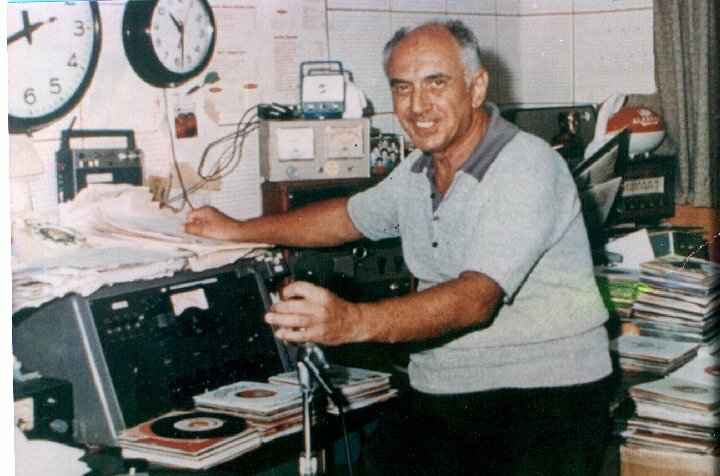 Having your new record played on Joe's show was as good as it gets, promo wise, and being mentioned by Mr. Rumore, was the best commercial mention possible. CONSIDER THIS: half the state could hear the signal!